2011 Olympia Weekend Main Page! The 2011 Olympia Weekend is under way in Las Vegas, Nevada at the Orleans Arena and Las Vegas Convention Center. Get comprehensive coverage right here of the 'Superbowl of Bodybuilding'! The 2011 Olympia Weekend is now over! The fun took place in sunny Las Vegas, Nevada at the Orleans Arena & Las Vegas Convention Center. Enjoy our comprehensive post-show coverage - including webcast replays, 10,000+ photos, and much more! MuscleTech Tons of people are using MuscleTech products everyday with great results. See All MuscleTech Olympia Deals! Bodybuilding.com presents the 2011 IFBB Olympia Webcast sponsored by MuscleTech. Complete 2011 Olympia coverage is available on DVD. Select replays are available here! 2011 Olympia Webcast Fan's Choice Award! Phil Heath is the 2011 Fan's Choice Winner! Thank you for everyone that made this year's Fan Choice Award, sponsored by MuscleTech, a great success! See Who Won! 2011 Olympia Scorecards Curious about the actual competition scoring that lead to the placings? View the official Olympia scorecards! Train With Kai! Top Olympia contender Kai Greene trains 4 eager contest winners from diverse backgrounds in this Bodybuilding.com Exclusive video series. Train With Kai Now! Brandon Curry Unleashed Season 3! Fulfilling a career-long goal, Brandon finally gets his shot at the Sandow in 2011. Follow along as he dials up the heat in preparation to stand amongst the greatest. Watch It Right Here! Jay Cutler Trains Shoulders 11 Days Out! MuscleTech presents a special pre-Olympia glimpse at the reigning champ's (still) heavy shoulder day. Watch Jay Destroying Delts! The Olympia Webcast! Bodybuilding.com presents the 2011 IFBB Olympia Webcast sponsored by MuscleTech NeuroCore. Watch live to see if your favorite competitor takes home the Sandow! Watch The Finals Live! Olympia Webcast Replays! Bodybuilding.com presents the 2011 IFBB Olympia Webcast sponsored by Optimum Nutrition. Complete 2011 Olympia coverage will be available on DVD soon. Select replays remain available here! Get Replays Here! Expo Model Photos At The Bodybuilding.com Booth! Did you remember to stop by the Bodybuilding.com booth at the 2011 Olympia Expo? If so, find your picture below and share it with your friends on your favorite social network such as Facebook and Twitter! Find Your Picture! 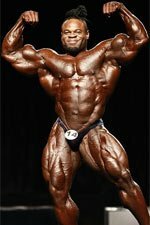 2010 Olympia Product Specials! Bodybuilding.com is proud to bring you these great deals on your favorite products throughout the entire 2011 Olympia weekend. Don't miss out on these great savings! Save On Your Favorite Products! 2010 Olympia Score Cards! Curious about the actual competition scoring that lead to the placings? View the official Olympia scorecards! See The Score Cards! The Bodybuilding.com Booth! Here's the listing of "who's who" at the Bodybuilding.com booth this year! See Who You'll Meet This Year!